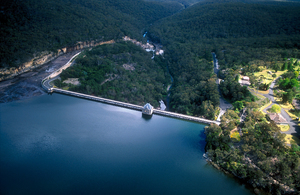 Aerial view of the Cataract Dam, Reservoir and spillway, NSW. 1999. Photographer : Gregory Heath on January 01 1999.